10 minutes walk from the train station. Paris at 42 mn train ride only. 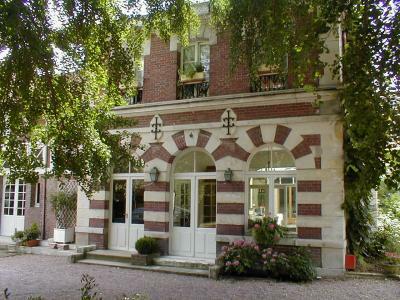 This mansion was built at the time of Claude Monet, by the end of the 19th Century. It is located right in the historical centre of Vernon, just in front of A.-G. Poulain fine arts museum. 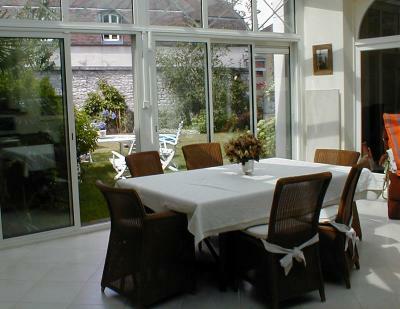 Situated within walking distance (10 mn) from the railway station and 4 km from Giverny, it is an ideal point of departure to discover Vernon's narrow streets bordered by half timbered houses, and enjoy the many restaurants and shops. 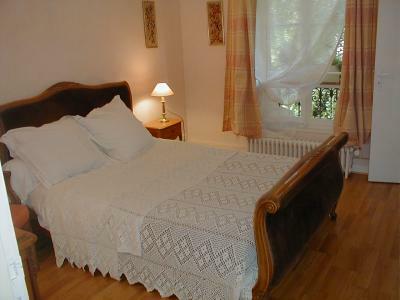 The romantic Seine river banks are only a few steps away. 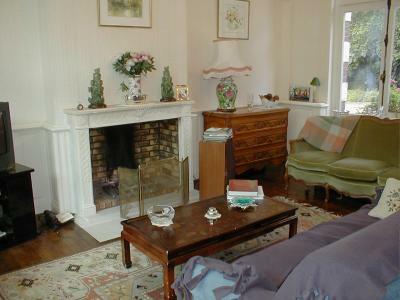 Noelle Pariel will welcome you in her living room, where the fire crackles when the weather is chilly. You will have your breakfast in the winter garden, or outside in the very pleasant garden in Summer. 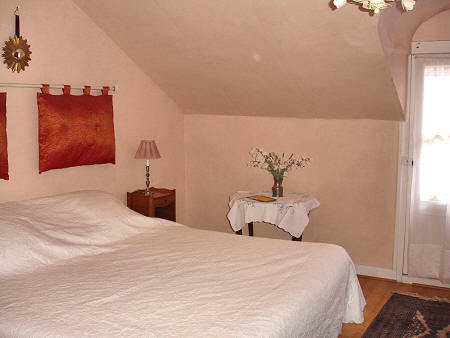 The three rooms can compose a suite for a three couples party or for a family. 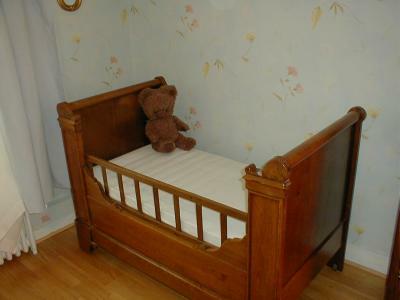 The room of your choice can also be rented on its own. 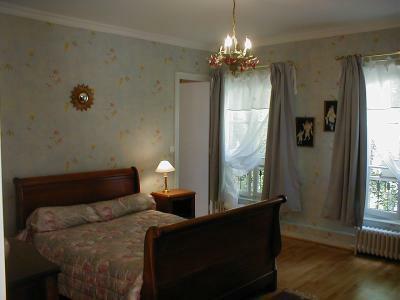 This bedroom is connected with the Symphony room and cannot be rent separately. Bathroom with bathtub, separated WC.